The presentation will cover the February 2017 hardware announcements including the new S812. Also, there will be details on IBM i 7.3 TR2 and 7.2 TR6 including DB2 for i, Web Query and Client Access. This session shows you how IBM i can be presented to the business in order to raise visibility, preserve your investment in the platform, and ensure that business applications are developed using the right tools. Join us and take away information that can be used to educate your own business about the platform, its planned future, how it fits the requirements of your business, and how to leverage IBM i in your business. Your organization has a strong heritage with IBM i and the total cost of ownership of IBM i consistently proves to be a better proposition. With IBM i on Power Systems, the future of your business can be more agile, scalable and sound. Come and learn how to sell that proposition to your business executives. Modernization is such an interesting word. It seems everyone has a definition, and depending on the vendor, there is only ONE way to modernize. Yet, everyone has a different starting point, different ending destination, and therefore, different roadmap. Trevor brings his 25 years of modernization and transformation experience and 30 years of IBM i related experience to help you decide the best direction for your own unique modernization journey. Also covered will be several real world examples and ideas of what to do and what not to do. A simple and effective strategy approach is also introduced. Do you know that your job will look like in 5 years? 10 years? Will you be kicked off the island? Are you the weakest link? The IT industry is fueled by change and requires both ourselves and our companies to adapt quickly.This session is a discussion of topics that can assist you in being an IT survivor. A review of past trends may give us clues to maintaining current skills and developing new skills. This will allow us to remain competitive as individuals and drive our businesses in the right direction for a future of change. Be prepared to challenge your status quo, and leave with new ideas on how to become flexible enough to adjust quickly to new trends and directions and ensure your survival. 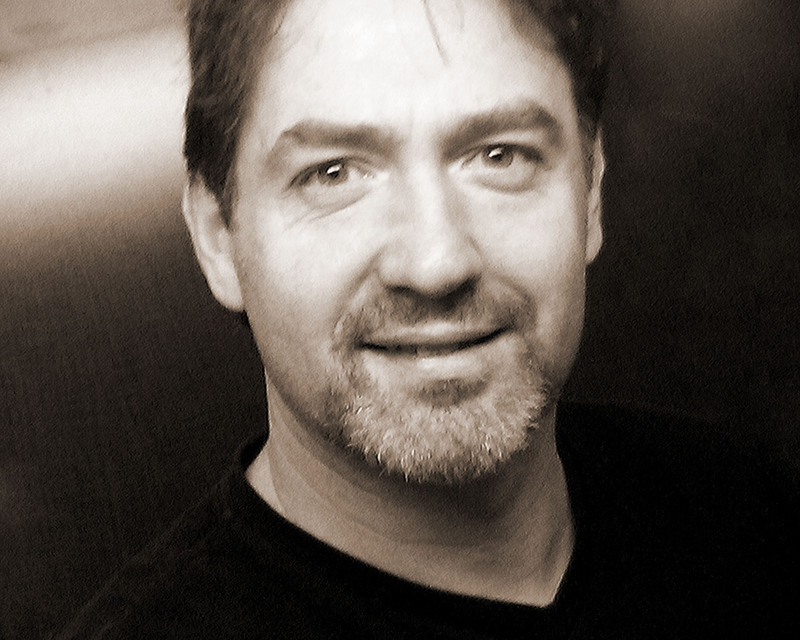 Trevor Perry is a veteran of the IBM i community. He is a consultant to companies on their I.T. modernization efforts, and has been engaged in all phases of the IT development cycle. He is a popular speaker at industry events on technical, strategic, modernization and motivational topics and is a regular keynote at conferences around the world. Trevor won an IBM/COMMON innovation award for his community efforts, occasionally blogs at angustheitchap.com, was the creator of the only ever cartoon for IBM i, and provides marketing encouragement for the community everywhere. His passion for changing the world for the better has not been tamed and his storytelling skills can be found in his first book “Never Iron When You Are Naked”. Trevor is working on his next book “You Are Extraordinary”, while he continues to find new ways to stir the passion of the IBM i community. Trevor's day job is a consultant at Fresche. Guiding customers in their modernization efforts, assisting with IT strategy and directions, and setting new standards in leveraging IBM i in business for a strong future. He speaks at conferences and events around the world leveraging the collected experience and expertise of Fresche in the business and IT community. Robin Tatam presents security topics to NHMUG user group! Can I just encrypt the entire disk? Although your IBM i server is one of the most securable platforms available, the protection of critical data is often undermined by weak security design at the application level. Did you know that IBM i includes powerful auditing features? This session is designed to teach how to correctly activate and utilize IBM i’s built-in forensic capabilities. Equally important, you will also learn about what system auditing does not capture, and how to prevent that from causing you to fail an audit. For many in the IBM i community, security is a journey that is considered and discussed but never embarked upon. This often stems from the fact that many people are under the impression that IBM i is inherently secure and have never had theirs professionally reviewed for risk. Before the conference, registrants will be provided with a link to download a [free] proprietary tool to quickly and non-invasively scan the IBM i partition of choice. The session, led by a certified auditor and expert in IBM i security, will consist of an interactive discussion regarding how to interpret the findings. Robin Tatam is HelpSystems’ Global Director of Security Technologies and a COMMON subject matter expert (SME). 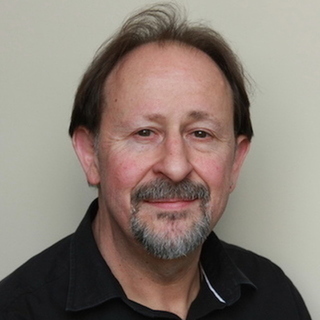 As an award-winning speaker on security topics, Robin has been interviewed and quoted by industry magazines and has published numerous trade articles. Robin’s extensive Power Server experience has resulted in more than 20 IBM certifications and the highly sought after designation of ISACA-certified Information Security Manager (CISM) and PCI-Professional (PCI-P). He is also co-author of IBM’s Redbook publication on IBM i Data Encryption. Look who came to New Hampshire! Are you tired of constantly exporting and importing data for "foreign" applications running on Windows or Unix/Linux servers? Do you wish there was an easy way to keep more applications on IBM i? This session shows you some approaches that will help you to ensure that modern applications can be deployed on IBM i easily and without breaking the budget. Exploit the huge world of open source applications and tools that you can easily implement on your IBM i. And what's more, you can easily integrate these applications into your DB2/RPG universe. Jon will also show you how you can create powerful browser-based database applications in minutes using readily available application frameworks - writing almost no code yourself. And all the data can be stored in DB2 so you can easily integrate these applications into your existing inventory. Can it all really be that cheap and easy to do? Jon believes so and on this session will discuss and demonstrate a number of open source applications to show just how quickly and easily new web-based applications can be deployed. Keep your IBM i alive and vibrant and be a hero to your end users by responding quickly to requests for new web based applications. Susan doesn’t code subroutines any more. She believes that procedures (aka, subprocedures) make great subroutine replacements. They can make your code more obvious, making maintenance easier, faster and more reliable. Take the extra step to package your commonly used procedures into ILE Service Programs and you can share them easily and efficiently among many programs. In this 2 part session, Susan will explain the advantages of modularizing your code using procedures and she'll cover how to do it. Part 1 covers the details of coding procedures - both the syntax and the best practices. We'll look at how prototypes are used with procedures and cover some valuable prototype keywords to make your coding life easier. Part 2 assumes you have either attended Part 1 or already have experience coding internal procedures, defining and using local data and prototypes. In this second session, we'll cover the details of ILE Service Programs - what they are, when and why you should use them, how to package your procedures in them, and shortcuts for using them from your other programs. These two sessions can form a foundation for writing better modular applications. The V7 releases of RPG have radically changed the language. Among other new features, you can now code RPG in completely free format - and with no 80 columns restrictions! The latest updates have also extended RPG's error handling model, making it much simpler to ensure that things are "tidied up" in the even of an exception. And last but not least how performance improvements for large return values can make your subprocedures easier to deploy as web services. Susan left IBM in 1999 to devote more time to teaching and consulting. Her primary emphasis is on enabling customers to take advantage of the latest programming and database technologies on IBM i. Today she is part of System i Developer, the team that hosts the RPG & DB2 Summit events twice annually. Susan is a Technical Editor for IBM Systems Magazine and a frequent writer for IBM Systems Magazine and IT Jungle. 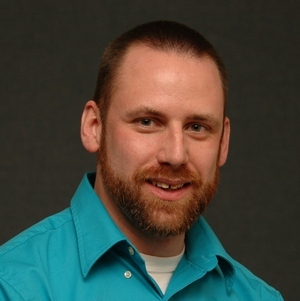 Today he is part of System i Developer, the team that hosts the RPG & DB2 Summit events twice annually. Jon is a frequent speaker at User Groups meetings and conferences around the world and holds a number of speaker excellence awards from COMMON. Jon is a Technical Editor with IBM Systems Magazine and a frequent author for IBM Systems Magazine and IT Jungle. Wayne Bowers came to speak at NHMUG on Wednesday December 14th! IBM i Access Client Solutions is the newest member of the IBM i Access Product Family, and it is a platform independent client that is supported running on multiple Operating Systems like Macintosh, Linux, and Windows. Familiarity with IBM i Access Client Solutions is very important as this is the future of the IBM i Access Family software on workstation operating systems. This future looks very bright and IBM i Access Client Solutions provides ease of deployment, and operational improvements in nearly every function the client provides. Many of us though have a very high level of comfort with the IBM i Access for Windows or Client Access software that we have used for over well over 15 years, and the thought of discontinuing the use of that and moving to a new software package may be accompanied with some anxiety. 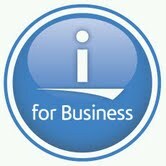 During this session we will be comparing and contrasting IBM i Access Client Solutions to IBM i Access for Windows. There are definite differences between how these products do some things and this session will offer Tips and Techniques on accomplishing the tasks and processes that we use IBM i Access for focusing on those differences. We will cover items including, but not limited to, an overview of the main IBM i Access Client Solutions functions, System i Navigator vs. IBM Navigator for i, Data Transfer spreadsheet integration, Remote Commands, and managing configurations. Become familiar and more comfortable with the differences between IBM i Access Client Solutions and IBM i Access for Windows. We will continue from where we left off, and this session will specifically focus on moving a PC that has IBM i Access for Windows installed to using IBM i Access Client Solutions. We will be looking at the recommended best practices for deploying IBM i Access Client Solutions and migrating your IBM i Access for Windows investment to this environment. Managing your IBM i systems as well as providing user access from any mobile device (cell phones and tablets) is becoming more and more of a requirement for many businesses. In response to this, IBM i Mobile Access Solution was born. This solution has been available since May 20, 2015. During this session we will present an overview of the solution, covering things like System Management, the 5250 interface, running SQL Queries, interacting with Printed Output, including a live demo. We will finish up with discussing the robust tools built into the solution that allows administrators to control what users can do based on their IBM i OS Group or User Profile. Communications security is a necessity for nearly everyone in at least some scope, and SSL is a common, well known term in this environment. This session will go beyond SSL, to the broader level conversation of Transport Security, of which SSL is becoming an outdated technology, replaced by TLS. IBM i OS r7.1 and r7.2 now supports the current TLS 1.2 protocol, and some new cipher specifications. We will look at some protocol details, including sniffer traces showing different connection handshakes, and include the newer TLS 1.2 support in an overall conversation of managing the application communication Transport Security environment on your IBM i OS. Wayne Bowers has been with IBM since 1997, where he works with the IBM i Global Support Center in Rochester MN. He is an Advisory Software Engineer specializing in the support of the IBM i Access (aka Client Access) products, Integrated Blade server solutions, and the TCP Telnet communications server. Wayne has been developing and delivering presentations on IBM i Access products since 1999, and at external conferences like COMMON and IBM Edge since 2009 where he is an award winning speaker.